Curating–In–Depth, prepared by two main partners SCCA, Center for Contemporary Arts – Ljubljana (Slovenia) and Planting Rice (the Philippines) and associated organisation Kurziv (Croatia), is an incubation project between non-governmental institutions from Europe and Asia, whose goal is the development of curatorial education. It connects initiatives in the field of curatorial practices and the production of visual arts exhibitions, which share the same approach (we call it the curating-in-depth), but are rooted in different cultural environments and artistic milieus. The project was supported this year by Creative Encounters: Cultural Partnerships between Asia and Europe. We believe that through mobilities for curators and cultural operators between the Philippines, Slovenia and Croatia, we have increased knowledge on these cultural scenes and developed a practice of accountability in intercultural exchanges and cross-cultural curating. The programme of engagement included, but was not limited to, artist talks, round tables, symposium and other modes of presentations structured within the aim of raising awareness that contemporary art practice is a medium for intercultural dialogue that exceeds cultural, and social boundaries. The first part of the programme was held in Ljubljana and in Zagreb from 3 to 16 May 2015. 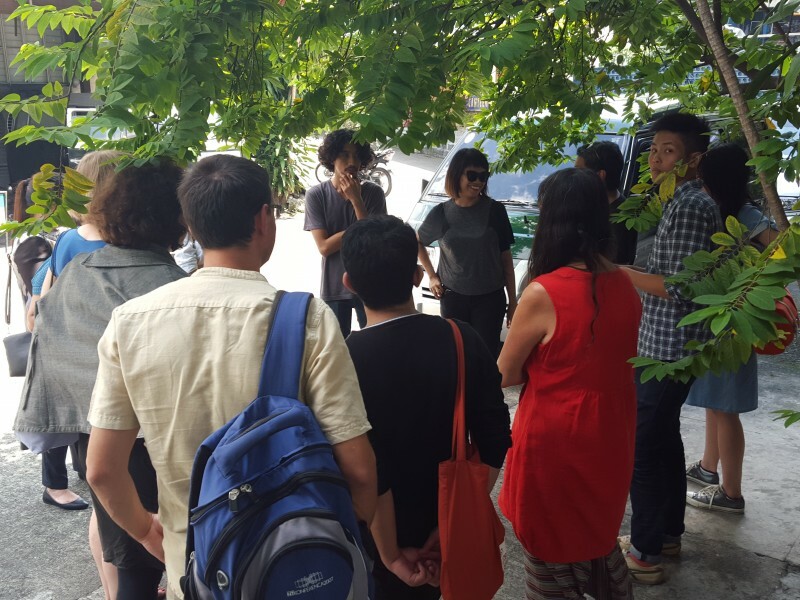 SCCA-Ljubljana hosted six curators and artists from the Philippines, Singapore and Myanmar, the representative of the organisation Kurziv from Zagreb and Turkish artist Borga Kantürk. The programme aimed at international guests and participants of the World of Art, School for Curators and Critics of Contemporary Art was held in the Project Room SCCA and other art venues in Ljubljana and Zagreb. We have prepared curatorial mapping, a guided tour around Ljubljana and Slovenia. We visited art venues, artists’ studios and other exhibition spaces in Ljubljana, inter alia, Museum of Contemporary Art, Museum of Modern Art, Škuc Gallery, International Centre of Graphic Arts, ACC Metelkova City, Alkatraz Gallery, City Art Gallery, P74 Gallery and Photon Gallery. We also visited Gallery of Contemporary Art Celje, Maribor Art Gallery and non-governmental organisation GT22. During the visit of guests from Southeast Asia the annual exhibition curated by the World of Art School opened at Škuc Gallery in Ljubljana. We used this opportunity to evaluate the exhibition (curatorial concept and set-up) with the international guests. It was a remarkable and unique opportunity to discuss the curatorial concepts and strategies, systems of display and formalisms of artworks with curators of another milieu. In this discussion we have mapped similarities and differences in curatorial gestures and interests between Asia and Europe communities. As well presentation showcasing curatorial practices and artistic positions of Southeast Asia were organised in Ljubljana. Siddharta Perez (curator, writer, the Philippines) talked about curatorial strategies in facilitating and sustaining knowledge resources, Antares Gomez Bartholome (curator, writer, the Philippines) focused on curation as cultural work, Isabel Ching (curator, writer, Singapore) framed the conceptualism from Southeast Asia, Moe Satt (artist and curator, Myanmar) introduced the Slovene audience with Myanmar performance art. The seminar concluded with screening of 13 selected Filipino video works and short films with comments by the curator Shireen Seno. The selection showcased the works from 1985 until nowadays and demonstrated different aesthetics and usage of visual language by showing the issues of contemporary society in the Philippines. 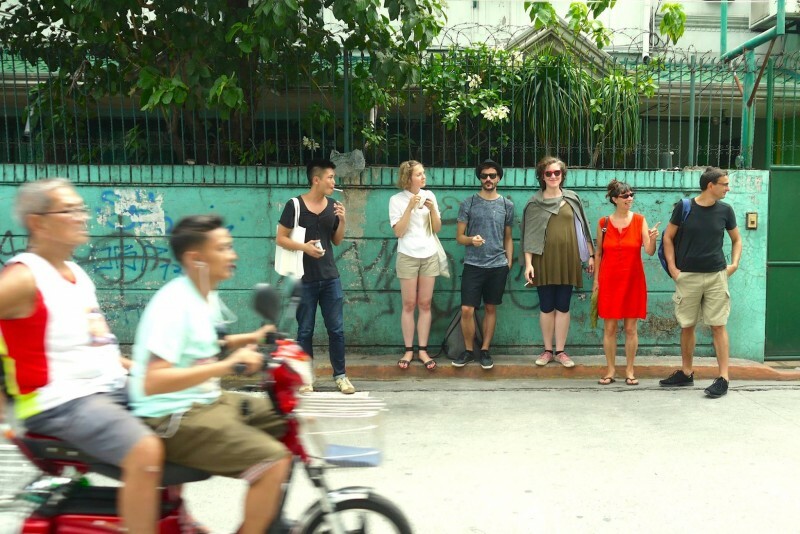 The second part of the project was curatorial mapping of art scene in Manila from 27 July to 8 August 2015. 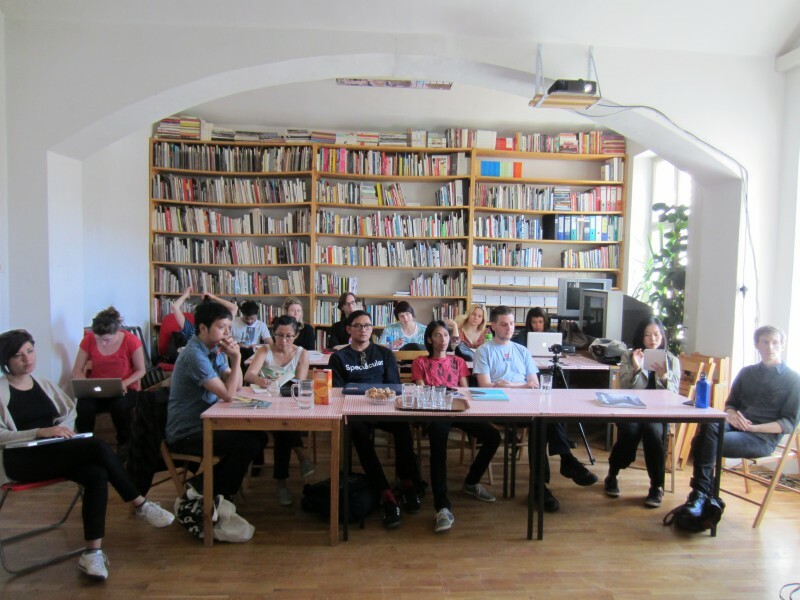 Participants from Slovenia, Croatia and Southeast Asia came together to discuss and present artistic and curatorial practices that contests the contemporary in critical non-linear art histories, alternative organizational infrastructures through a series of events and discussions. A talk on the issue of archiving in video and experimental cinema accompanied the discussion. An experimental video and film screening from the archives of SCCA Ljubljana and Mowelfund Film Institute were also presented. The three-day symposium at De La Salle-College of Saint Benilde in Manila condensed the topics on curating from different perspectives and curatorial and artistic positions: 1) Rehistorization: Critical non-linear histories, 2) Alternative organizational infrastructures, 3) Problematizing archival practices in video. Antonija Letinić (Croatia) questioned, what is the future of (art) criticism, Renan Laru-an (Philippines) took multiple incursions with ambivalence to points of departure and arrival in order to speak about criticality that introduces vertigo and scars into history, memory, and the contemporary. Lian Ladia (the Philippines) presented anachronism of Southeast Asian modernism based on the biography and historicized identity of Indonesian painter, Raden Saleh. Lecture by Simon Soon (Malaysia) made visible the significant political and ideological pressures that shape artistic modernities of post-war Southeast Asia and its demand on the contemporary. Second day was focused on the alternative organizational infrastructers. Dušan Dovč (Slovenia) presented a brief introduction to the cultural art production in Slovenia. Angel Velasco Shaw (the Philippines/USA) presented Markets of Resistance – a project and series of events inspired by the desire to highlight the cultural diversity and richness of Baguio’s hybrid artistic communities. Miha Kelemina (Slovenia) presented the art project Liminale by OFFTIR association and its modes of working, production and networking. Simona Žvanut (Slovenia) focused on alternative educational programmes and in the case of World of Art School explored different educational models in the field of curatorial studies. Narawan Kyo Pathomvat (Thailand) problematized issues in contemporary Thai art through The Reading Room platform. After two days of more or less theoretical approaches towards the contemporary arts and working conditions we were engaged in moving pictures and video art. Barbara Borčić (Slovenia) talked about video as a tool and strategy of artistic expression and concluded the presentation with screening the examples from DIVA Station AV archive. Ricky Orellana (the Philippines) presented The Mowelfund Audio-Visual Archive, a non-stock non-profit social welfare, education, and industry development foundation organized and established in 1974. His presentation was also accompanied with the screening of selected films form the archive. A film retrospective by John Torres (the Philippines) wrapped up the symposium and curatorial mapping of the Philippine art scene. After the travelling exchange between Ljubljana and Manila, we started with the last phase of the project. The participants involved in the travel exchange are preparing an e-publication/toolkit containing the modules in executed lectures and presentations with further readings and educational materials.